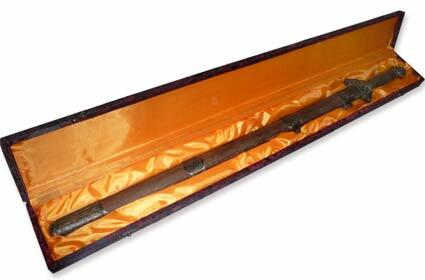 Special box to provide, protect or expose your sword. Yellow satin interior, red and black exterior fabric, elegant Asian patterns. Gift box sold without sword.